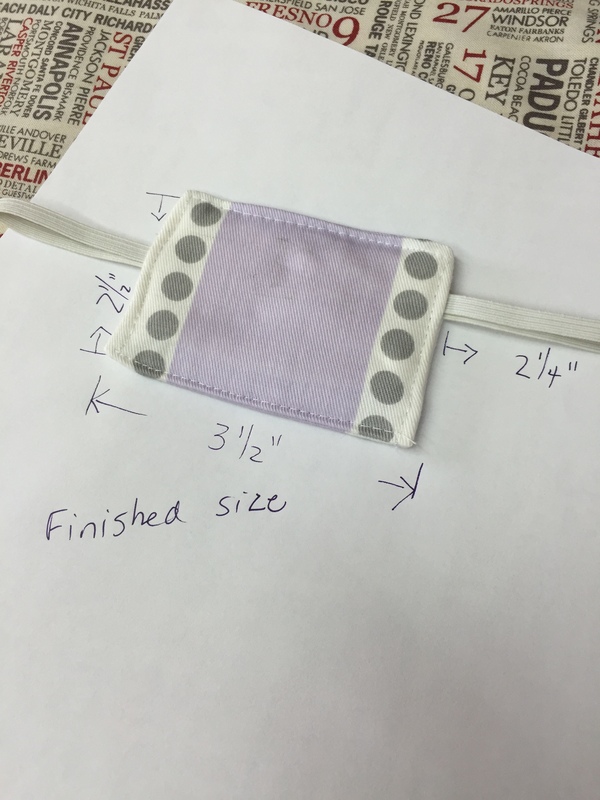 Latch Cover…. what ever you want to call it, it is what grand baby needs. This is how I did it. I also used 2 layers of quilt batting to pad it just a bit. And seeing how we have no traditional knobs in our house, I hope this elastic is stretchy enough for regular door knobs. 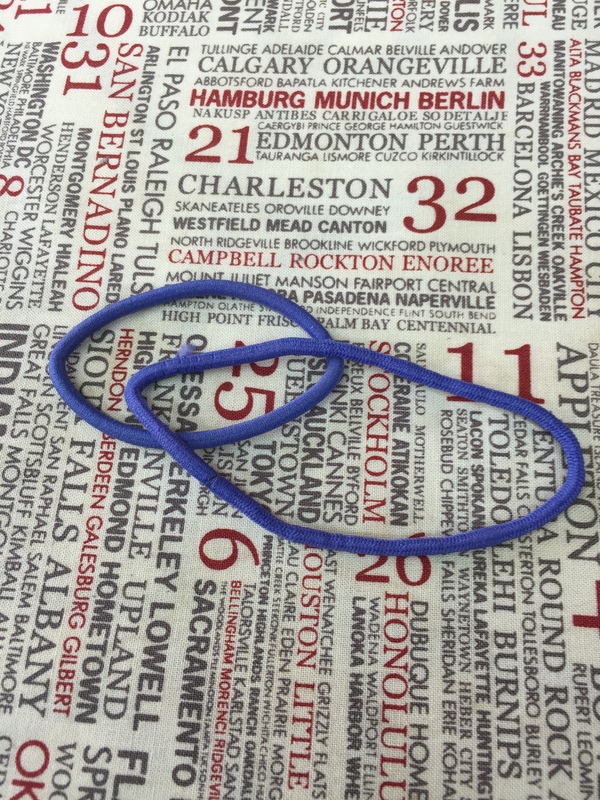 And don’t get cute and think you can use colorful ponytail holders… Even these new, unused ones, lost all elasticity in just one trial installation…. Installed. And this is not just to cover the latch to make it quieter. This is so Little Miss Cutie Pants can’t keep locking herself in her bedroom and then screaming for her mommy to rescue her. She does love to close herself in the bathroom and talk to herself, too! 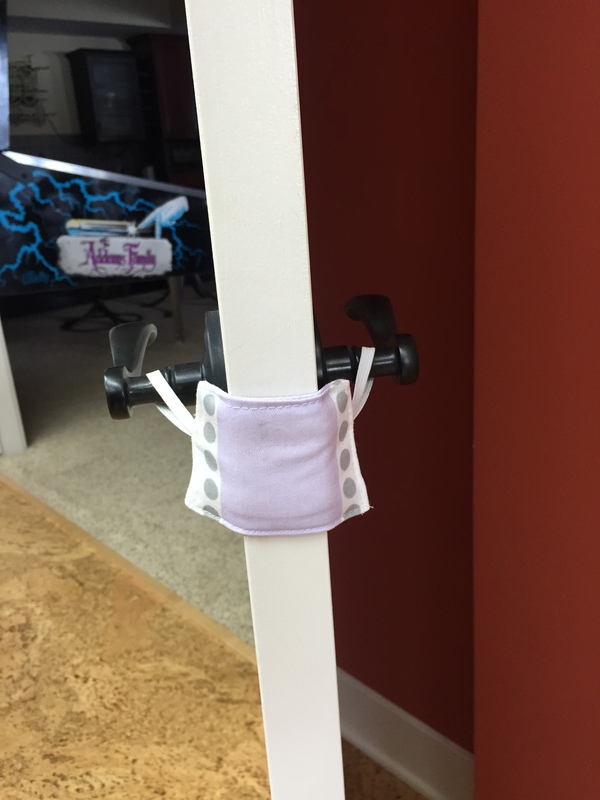 This entry was posted in Crafting, Finishes, Sewing, video and tagged diy, door silencer, measurements, Nursery door latch cover, tutorial, video. Bookmark the permalink. OMG, she is beyond adorable! Well,considering that two of my children were able to scoot their beds to the door and take out all the screws and completely disassemble both bed and doorknob, I’d be willing to bet the silencer might be used for something else. Face mask? Love it. Made me laugh. Good solution… this time. I’m sure she’ll keep you thinking for years to come. Oh my goodness! Your granddaughter is adorable!